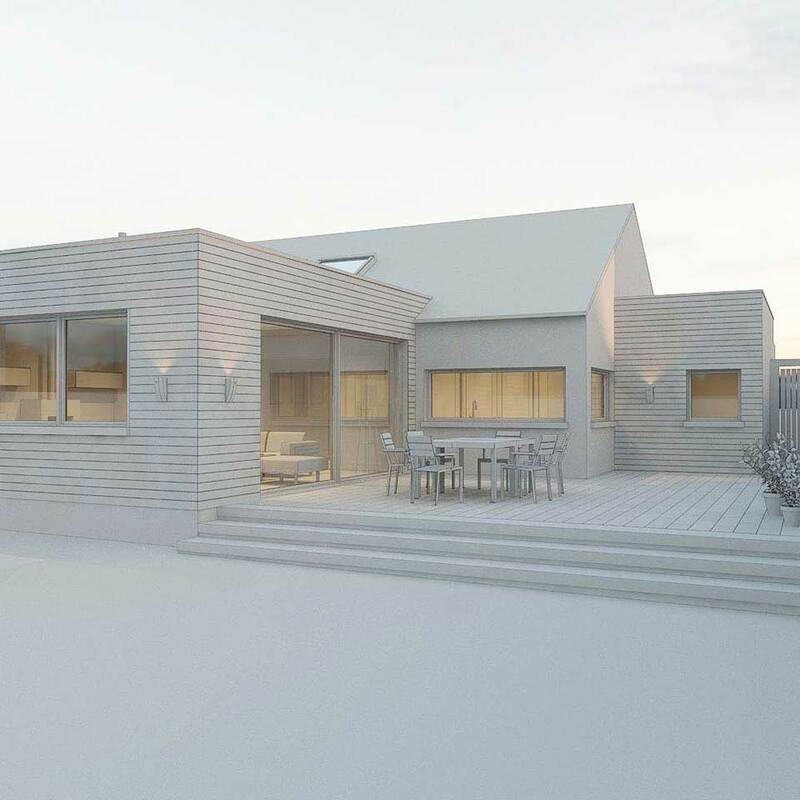 We were asked to redesign the layout of a bungalow that had already been extended in the past. However, the layout did not suit the new owners. The kitchen was isolated and too far away from the dining room. 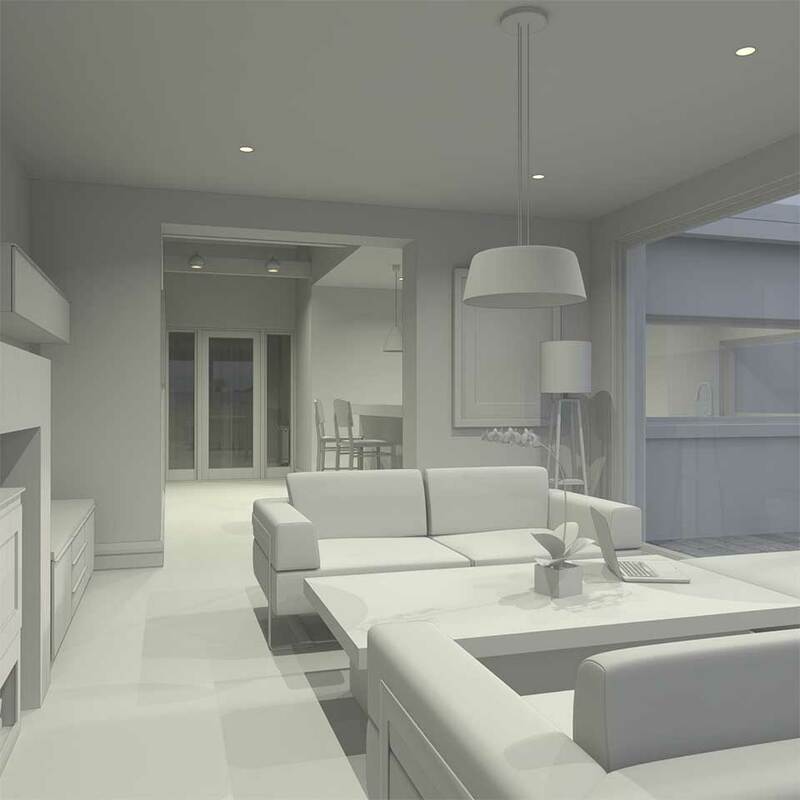 Rooms were very dark and the overall layout was not very functional to the client’s needs. 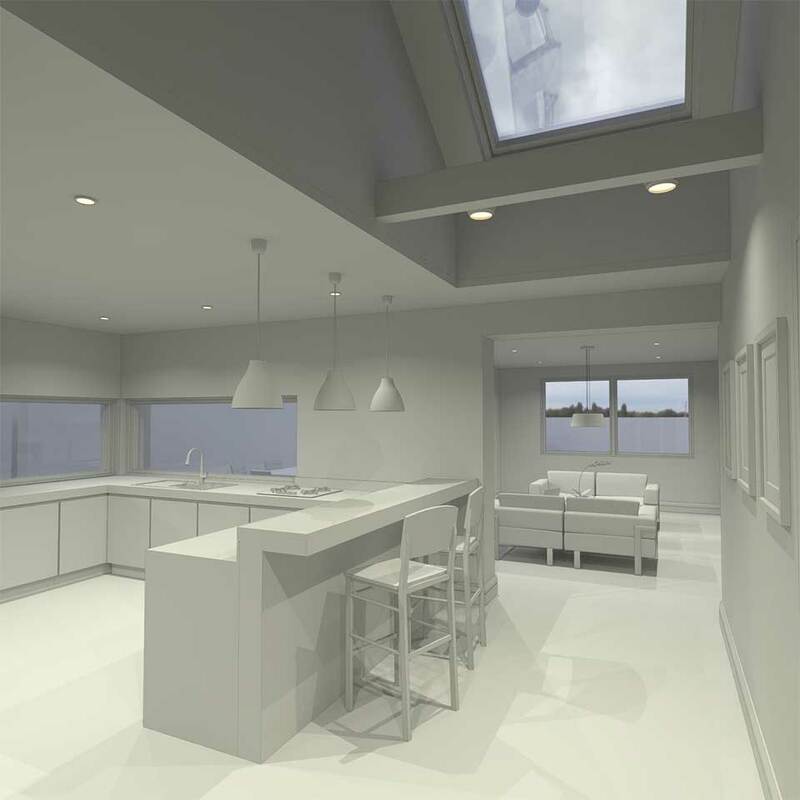 Having considered several options, the only solution was to demolish the old extension and design a different shape and size to accommodate a specious living room with an open fire including sliding doors leading out into a beautiful big garden. 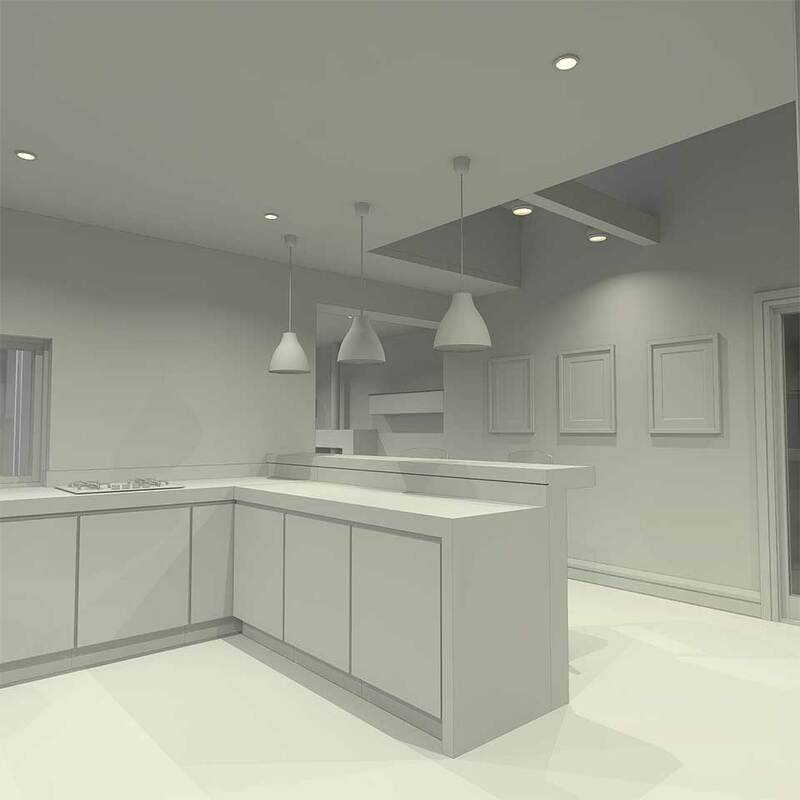 The kitchen has been relocated to the centre of the bungalow to create a new ‘heart-of -the- house’ from where all other functions are branching off, forming an important union between the two zones.